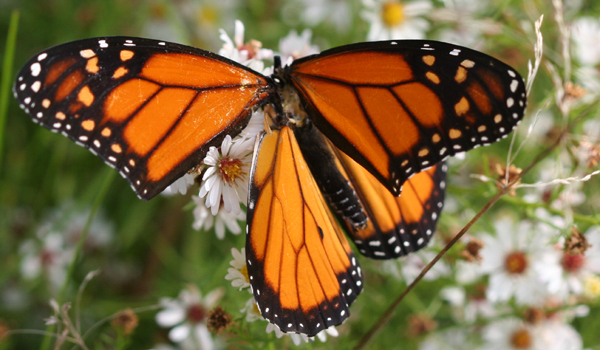 Monarch Butterflies, as they do every fall, are heading south for the winter. Along the coast one can see pretty big numbers of them, especially on days when wind out of the north carries them to the shore. I am always amazed by long migrations, but it is usually birds I think of when considering long-distance migrants. To me, it is even more amazing that something as fragile as a butterfly can fly thousands of miles to a place it has never been and survive the winter. On the last day of September Daisy and I were celebrating ten years together and we headed out to the coast to enjoy the waves and sand on a weekday when the crowds were sparse. Many monarchs were moving through, and quite a few of them were pausing to refuel from what is likely Seaside Goldenrod. 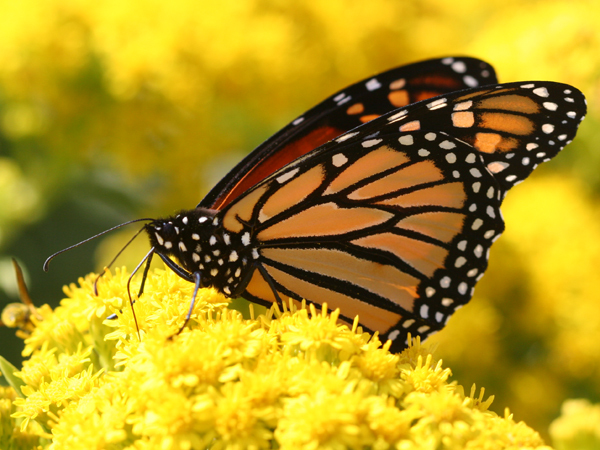 The hazards of migration can not be underestimated: even a butterfly like the monarch that gains toxicity by feeding on milkweed when it is a caterpillar can be predated. 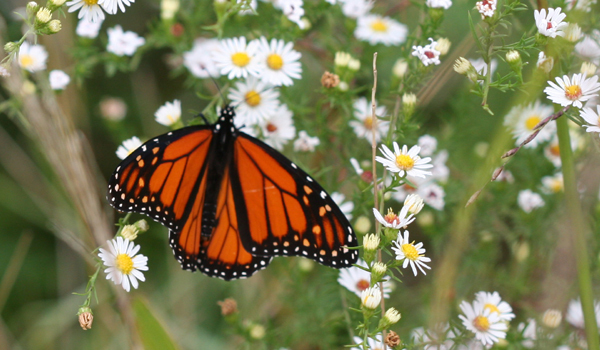 So get out there and get looking for Monarch Butterflies: you don’t want to have to wait until spring! How beautiful! Thanks for posting these lovely pictures! Must be some kind of serendipity working here! I went on a walk last weekend, and was enchanted by the butterflies – its the butterfly season here in Madras, and just wrote about it in my blog. The pictures are nowhere as nice, but the walk was oh so enjoyable! A friend sent some great pictures of the peacock, which I’ve also posted here, if anyone would like to take a look! Beautiful photos, Corey. It looks like you had a really nice day for butterfly viewing. And a belated happy anniversary to you and Daisy. Butterfly migration should have started around here, too. The monarchs from Alaska and Canada usually migrate to Pacific Grove which is less than two hours drive from where I live. So hopefully I will get down there in the next couple of weeks. 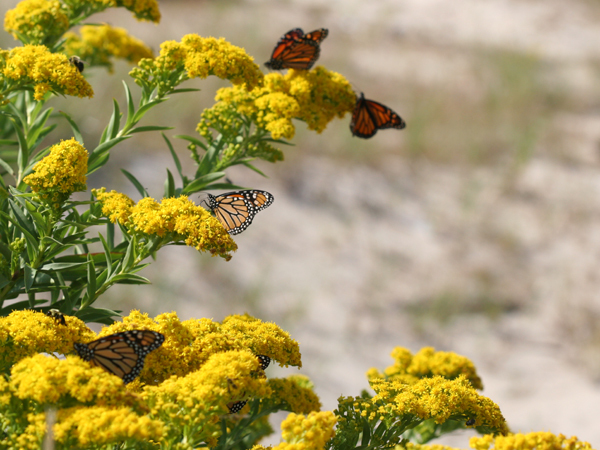 The migration has been underway for the monarchs in a big way. I probably have seen more monarchs than birds on my birding trips lately especially at the beach or close to the shore.